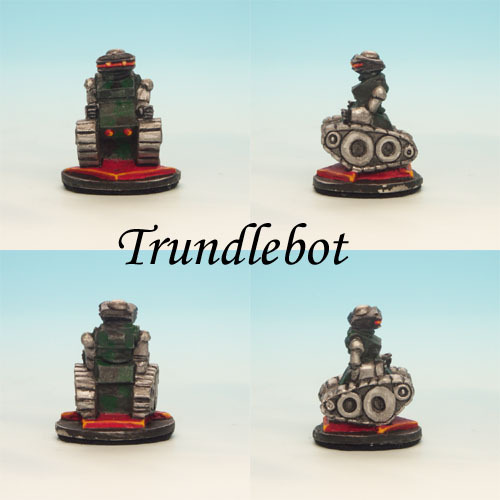 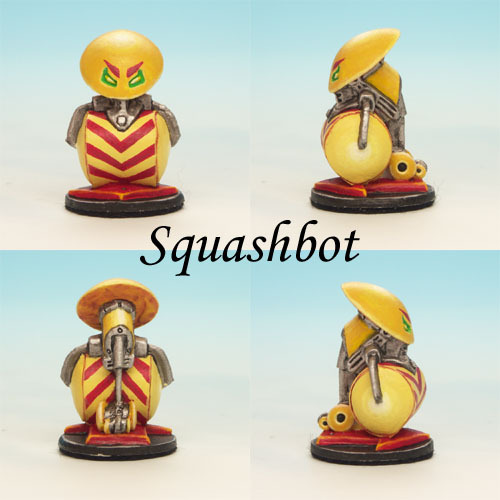 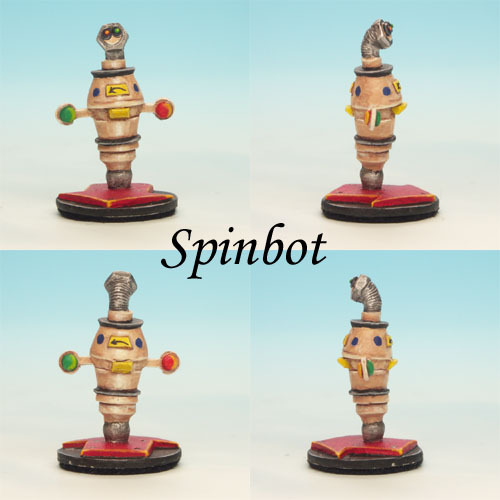 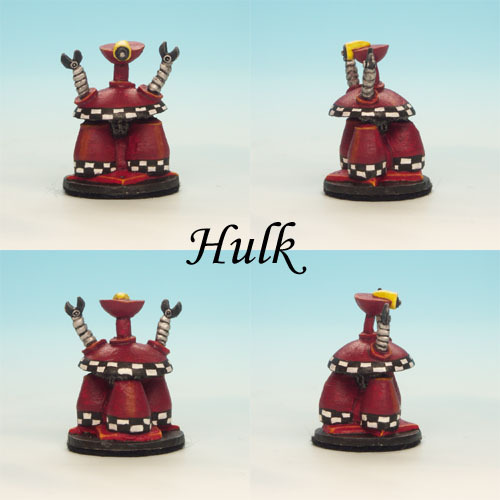 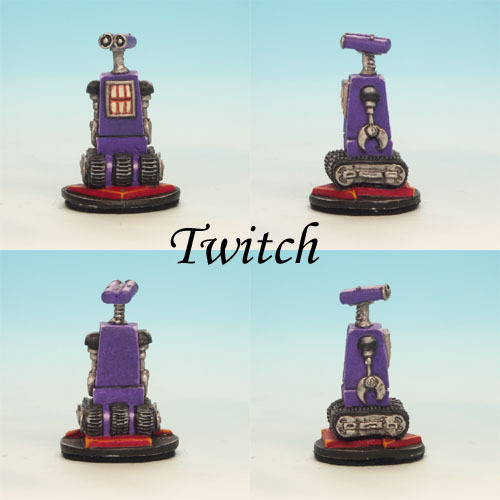 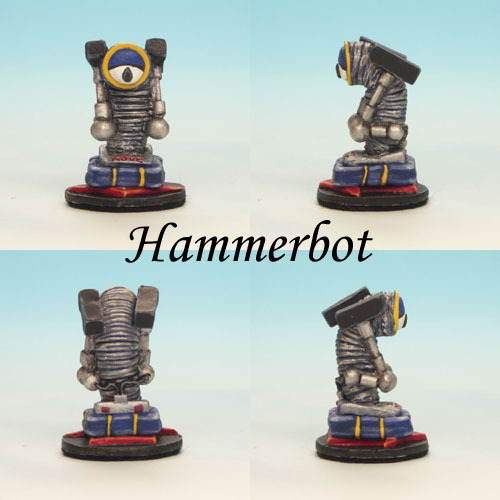 These miniatures belong to the game "Roborally". 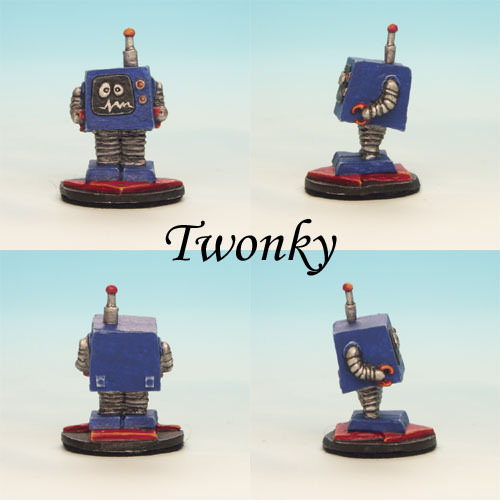 Each player slips into the role of a bored computer and has to navigate the little robots with direction-cards through a big factory. 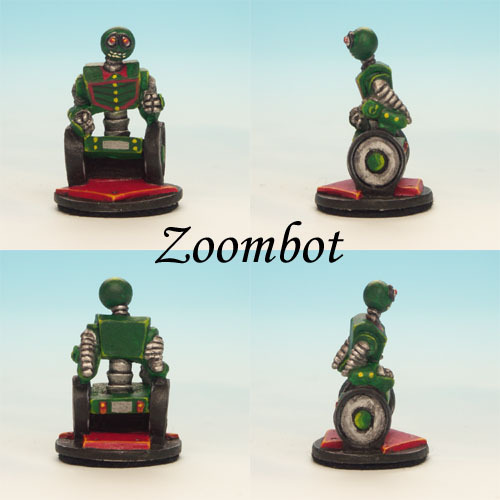 They were painted a few years ago and they were a little bit damaged during the games, but I think that the little robots look very cute nevertheless.